Pasadena is the perfect place to settle down in your golden years. With 58 different assisted living facilities in the surrounding area, you’re bound to find something to suit your needs. In fact, there are so many high-quality options to choose from, you might have a tough time picking your favorite! Fair Oaks offers one-bedroom, two-bedroom, and studio apartments. Their residents enjoy a wide range of activities including exercise classes, arts and crafts, music, and game nights (to name a few). Residents also can expect fine dining, daily housekeeping, and local transportation. Pasadena Highlands, located in a quiet residential neighborhood, offers spacious one-, two-, and three-bedroom apartments, studio apartments, and companion suites. With a full schedule of activities ranging from arts and crafts to a special “rigorous activity calendar,” residents at the Highlands are never bored. The most difficult part of the day is deciding which fun activity to choose from! Residents can adjust their level of care as their needs progress. Per month, independent living rent starts at $3,995, assisted living starts at $4,495, and memory care starts at $5,145. These rental costs do not include additional care fees. The Terraces is a special facility that focuses on the growth of residents as individuals. They allow small pets, boast amazing views of the San Gabriel Mountains, and have easy access to nearby hospitals. However, there is one downside: parking. Many people complain that there isn’t enough space. Complaints aside, The Terraces offers the most economical cost of all the top-rated facilities on this list—with assisted living costs per month starting at $3,200 and memory care starting at $3,300. Windsor is located in the close-knit community of Glendale, right outside Pasadena. In addition to the standard studio and one- and two-bedroom apartments, they also offer detached and cottage-style homes. Windsor residents enjoy weekly housekeeping, a varied list of activities (ranging from exciting to more relaxing), and a staff that speaks eight languages. As you can expect, these amenities don’t come cheap. Windsor is the most expensive on the list. Assisted living starts at $5,647 per month, while the continuing care retirement community costs $2,645 per month. Located in San Gabriel, Sunrise is unique in that their primary goal is to make residents feel at home. They believe no two people are alike and offer personalized lifestyle, service, and care options. Available living arrangements include studio, one-, and two-bedroom apartments as well as companion suites. Sunrise ranked "Highest in Customer Satisfaction among Senior Living Communities" in J.D. Power's Senior Living Customer Satisfaction Study, so you can rest assured that you (or your loved ones) will receive top-notch care. As you can see, senior living facilities aren’t exactly cheap. And to make matters worse, many don’t realize it until it’s too late. 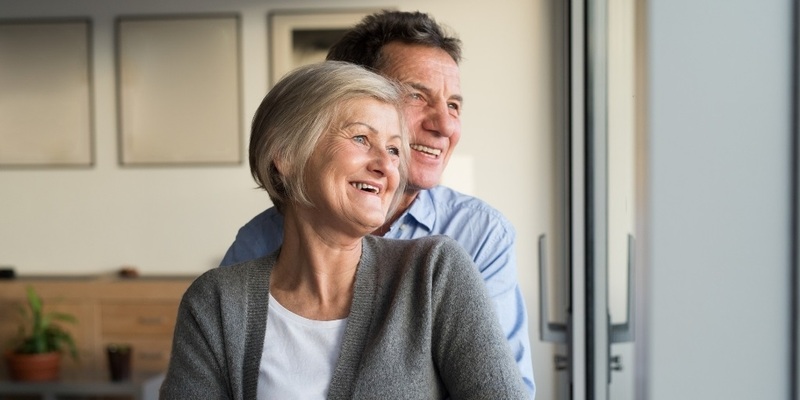 However, with proactive planning, you can be sure you’ll have enough money tucked away to afford peace and comfort later in life (for both you and your loved ones). If you’re interested in having an experienced financial planner design a personalized plan to make this possible, contact me at (626) 529-8347 or email me directly at [email protected].